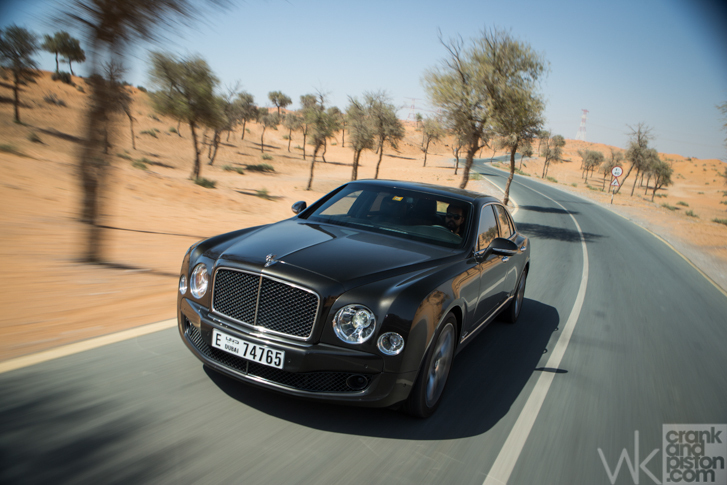 Con But does the Mulsanne Speed really need the extra power? When it comes to choosing the stuff that will enter my home, there is a careful study of form vs. function, value for money, return on investment, WOW factor and, most importantly, WAF (wife acceptance factor). There is even a chaired committee on whether the purchase makes sense, whether its durability is capable of withstanding human variety animal attacks and whether expected pleasure surpasses the hassle of the acquisition. I am not chair of this committee. Thus, being a lifelong fan of Pink Floyd, a music lover and a cinemaphile, my sizeable investment on the audio system we got home required a plethora of form filling, recourses, appellate work and powerpoint presentations that span 15 months but ended with the desired system banging out tunes with the utmost clarity, tempo, precision, tone and involvement current technology can provide. 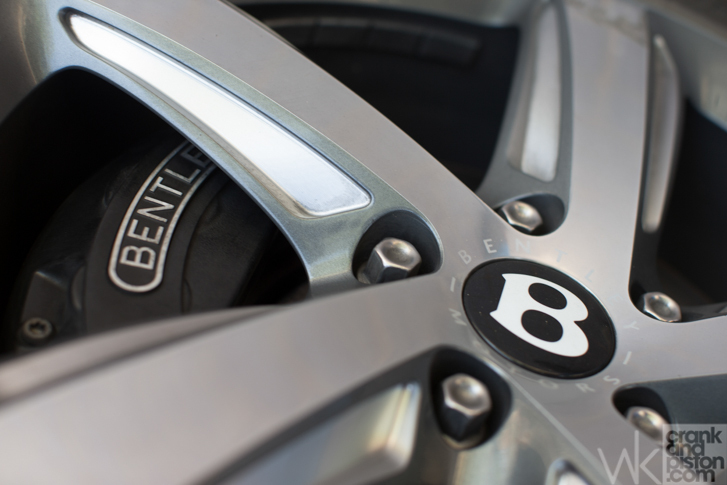 So, what’s all that got to do with the Bentley Mulsanne Speed? Funny you should ask. Choosing NAIM as the provider of the sound system is a clear giveaway on where the brand wants to position this car. NAIM had to design specific equipment, including a bespoke amplifier of 2200W, 21 speakers, endless hours of tuning and equalization, a 60Gb hard drive for your music, and as many audio/visual options an audiophile may ever require. And as a sound chamber, the car is deserving. With a 6.75-litre twin-turbo V8 turbo engine capable of delivering 530bhp and 811lb ft of torque, this 2.7ton behemoth patters around effortlessly. Well, when I say ‘effortlessly’, I mean that it only takes a slight push on a pedal. And when I say ‘patter’ I mean you’ll not develop neck muscles, but if you are not careful the speed will climb quite steadily and without any sort of warning to ‘regret’ levels. Good thing that brakes the size of a clock tower are at your beck and call to slow you down. So it has the grunt – obviously – but what is it like through the corners? The brand wants their cars to be “effortless”. And getting off the line on this one is. Not so much in cornering or stopping as the 265/40 R21 tyres (along with the smart suspension) can’t actually do magic, and the weight and inertia can hardly be contained. Same goes for the steering, which is quick and precise, and offers a surprisingly good feedback for something as big as a train station. And that feedback is extremely welcomed because, as I said, you tend to approach a corner quite faster than you thought. But all this is a moot point. Rather than on vehicle dynamics and sheer power, on how the torque is now available from 1500rpms or how while cruising the engine runs on four-pots, it is the ride comfort what really counts here. From seats that offer massage, heating, cooling and every other thinkable adjustment, to the extremely ergonomic set-up of the buttons, to the attention to detail in the passenger experience. Almost everything you may desire is available. For example, on first class drives it would be expected to have DVD player and screens on the headrest. But the pleasant surprise is in the rear seat iPad readiness, charger included, the WiFi router for up to eight devices, the control of the front passenger seat from the rear console, the DVD players, CD changer, three SD cards, Hard Drive and the two MP3 player ports (note that I don’t say iPod as the latest Apple devices have left Bentley playing catch-up), or the sacrificial cow cult it takes to upholster the interior. Special on the ride comfort goes to the rear seats. And that goes in two ways that highlight this car as the epitome of British Engineering (or German if you consider who is the actual owner). 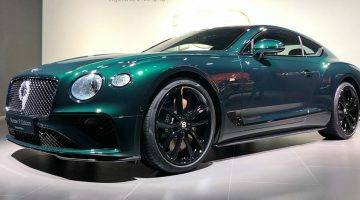 First is that, aside from the seat reclining, Bentley has included a small cushion on the C-Pillar that allows the snug accommodation of a head. Second is that despite driving near the desert, at peak temperature times, and dangerously close to the scorching summer, I had to reduce the air-conditioning strength to prevent catching a cold. As it is, I did manage to snooze and sneeze, which is not easy on a test drive event. And that is only on the face of it. Beyond you learn that every bit that looks to be made of metal, is. Chromed, polished and tinted laser-cut, forged or machined pieces of stainless steel are everywhere. So much so that the weight seems low at this point. So, what is missing? Well, to my liking, the gimmicks. I will only use them once, and look at them every 75 days, but quick access to instant fuel consumption, a HUD to tell me the speed and next turn, and other things that the current premium car has. Also not too keen on the access to the emergency stop button, which is quite out of the way and behind your cup-holder. Not sure on whether they have a communications/recovery service such as that on BMW or not, but then again, these are just an opinion. All in all, a fantastic car to be driven in, and a comfortable car to drive, which brings me back to my initial point. When it came to choosing my stereo, I balanced all the features and narrowed it down to two candidates. These were NAIM and Linn. In the end I chose Linn, but only because the display is blue and not green, and because I am a friend of the local dealer but, as you see, my decision had little to do with the quality of the product. 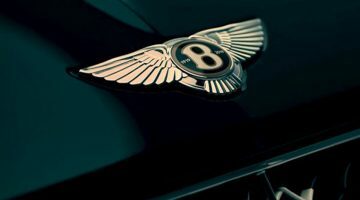 Which is what I think about the Bentley. In the end, the decision is more related to personal taste than to 4.9sec acceleration, variable displacement or 13 percent increased fuel efficiency. And for this segment, and with the recent passing of another German, the Bentley is in a class of two. And finally, a short comment on the price. 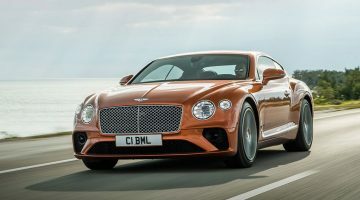 You can buy into the idea that since a normal car takes 8 hours to make and the Bentley takes blah, blah, hours, the price, which nears $400,000, is actually cheap. Nonsense. Today’s market forces establish the price from a variety of points of view, such us Quality Level Exclusivity Cost, Brand/Legacy or Novelty Value, to name a few. Additionally, while in the mid-range the price line climbs linearly, the top bracket climbs exponentially. Here you are going to pay for the first three price concepts, and for the pinnacle of them. And since you probably are smart enough to be able to buy one, you will surely be able to turn it into the marketing investment it can be.